Things are surreal at the moment. In the last few years the world as we know it has changed entirely, and every new day brings some new surprise, most often bad. There are nice surprises though, and the return of LCD Soundsystem has been like a ray of light shining through the darkness. It’s taken almost two years since their comeback was announced on Christmas Eve of 2015, but now “american dream” has been released and the seven-year wait for a new album is over. LCD’s new album fits perfectly in this new age of perpetual anxiety, and manages to do what the band have always done best – take a fresh and timely look at our march through life and the feelings and relationships we find along the way. After seven years in the wilderness, the same LCD sound I knew and loved is still there – with a heady mix of 80s influences mixed with dance music and an element of rock creating a perfect concoction. Here’s the influence of David Bowie is especially strong, with his friendship with James Murphy clearly creating some homages throughout the album, perhaps strongest on “change yr mind”. I also thought the rock-side of things was very reminiscent of Joy Division, with “i used to” being like a polished version of one of their tracks. Speaking of the songs, there’s lots to enjoy here, and every song does add something to the mix. Each one is unique and brings its own energy, and when listened to as a whole it strikes home the album’s feelings even more strongly. The opener “oh baby” is a crooning love song, with the oh-so-typical build-up of drums and synths before a final release. It’s really emotional, and perhaps the most vulnerable Murphy’s voice has ever sounded on a record before, and shows that his vocal skills have come a long, long way since “Losing My Edge” dropped in 2002. The shortest song on the album clocks in at 5:29, so these classic LCD Soundsystem traits run throughout the whole album. “How Do You Sleep” even beats the mythical “Dance Yrself Clean” for a fake-out, taking a solid 5 minutes before it’s intoxicating rhythm fully takes hold and drives the song through. It’s an early favourite, written as a diss track that has an incredible energy to it once it’s in full flow, even though sitting through the opening can be a bit unnerving and long-winded. Other highlights include the two singles that were released as singles before the album launched: “call the police” and the titular “american dream”. To be honest I wasn’t all that impressed with the first singles from the album, but when played in context with the other material it all fits quite well. “american dream” in particular has a classic age-orientated angle that makes it especially hard-hitting. A lot of the song lyrics seem rhythmically inspired by “Pow Pow” from This Is Happening, or perhaps from “Losing My Edge”, where the song takes a stream of consciousness style. Nothing does this better than “other voices”, which is a really fun song that experiments a lot with the rhythms underneath. It also gives fan favourite Nancy Whang a much deserved vocal spot towards the end that was an absolute highlight of my first listen to the album. The only small qualm I’ve had is that I think the vocals are edged out of the album’s mix a little too much, and is hidden behind the instruments a bit. However, this has grown less of an issue the more I listen, and it also plays with the fact that Murphy wants people to feel a little uncomfortable while listening to the record. That’s how he explained the album’s rather bland cover art, anyway. 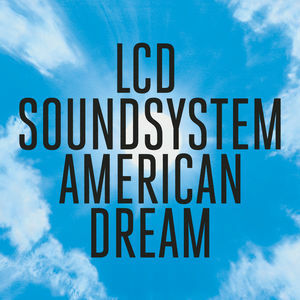 Although it’s far too early yet to rank american dream in the pantheon of LCD releases, it’s definitely not too early to say that this is a great album and a more than worthy reimagining of LCD Soundsystem’s unique style.